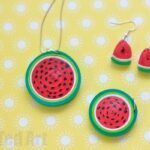 You may have seen our Quilled Watermelon Pendants earlier this month. We now have the fabulous Paper Quilling Pineapple Brooch to go with it! 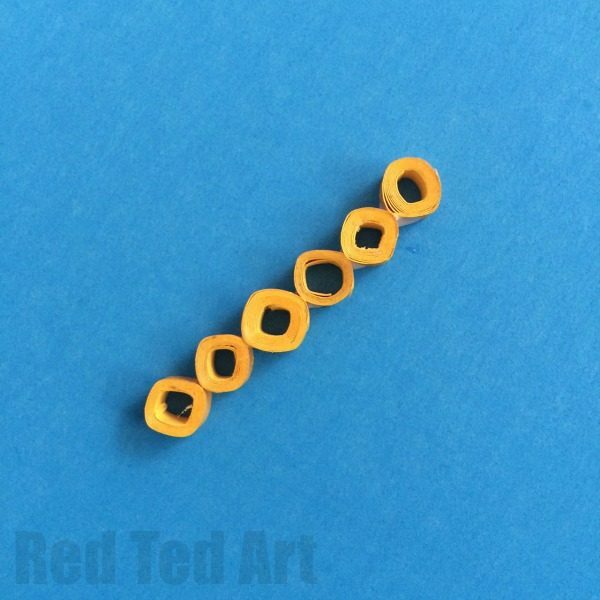 What I love about this particular Paper Quilling Pattern, is that it is super thrifty – making it a great summer jewelry projects for (older) kids! 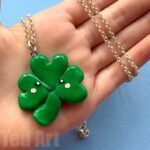 All you need is paper, glue and a safety pin. 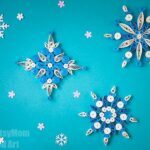 Paper Quilling is a great craft niche to explore and try out – it is so wonderfully inexpensive, can look absolutely stunning and is great for concentration and fine motor skills. Environmentally friendly too! Love love love everything about this wonderful paper craft. 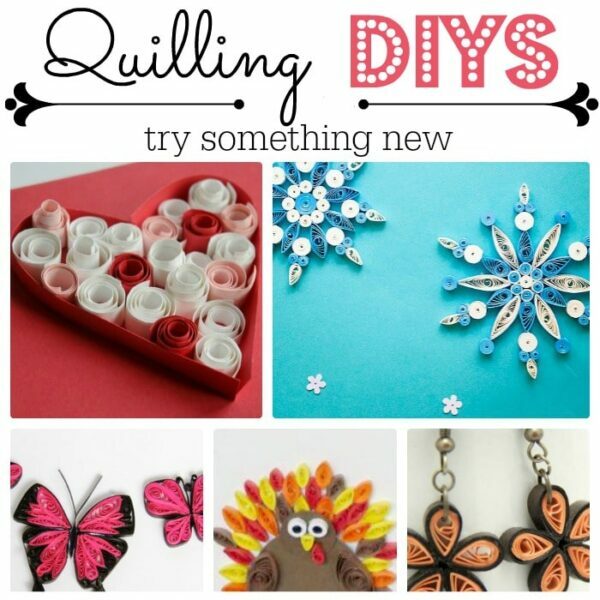 We have some great “beginners” quilling projects for kids to try out too. 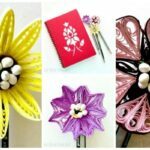 So do check out our collection of Paper Quilling Projects and have a go at this great DIY! 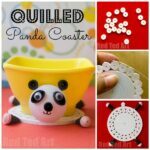 Quilling strips of yellow color. 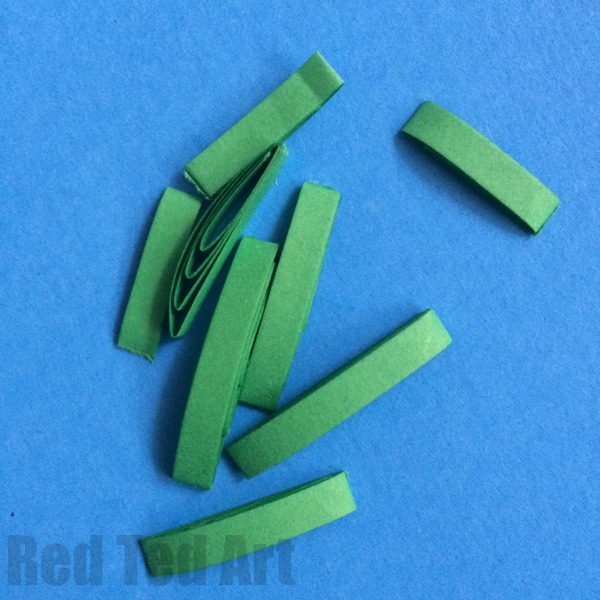 Quilling strips of green color. 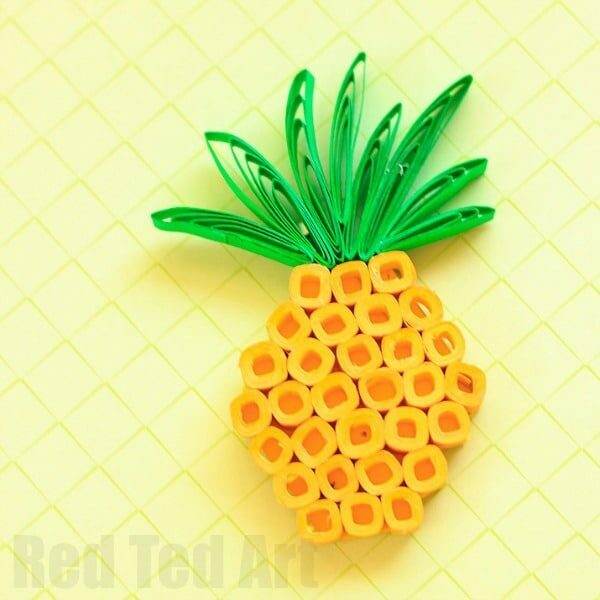 To start your quilled pineapple brooch, take a toothpick and one quilling strip of yellow. 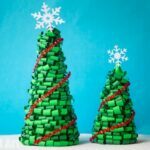 Start wrapping the quilling strip around the toothpick in a circle. Once complete, stick the edge of the strip with glue. You will notice that a circle is formed with a hole in the center, carefully take this circle out. 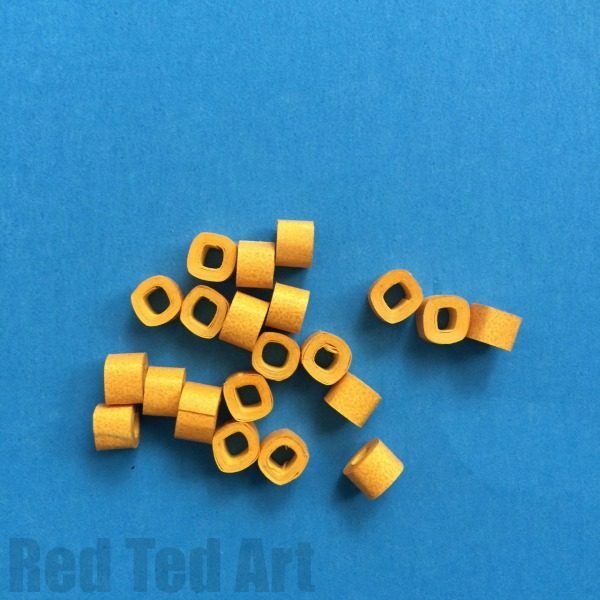 Repeat this step, and make close to 25 closed coils which have a hole in the center. Once ready, stick these circles in a horizontal line, attach at least 7 in each line. 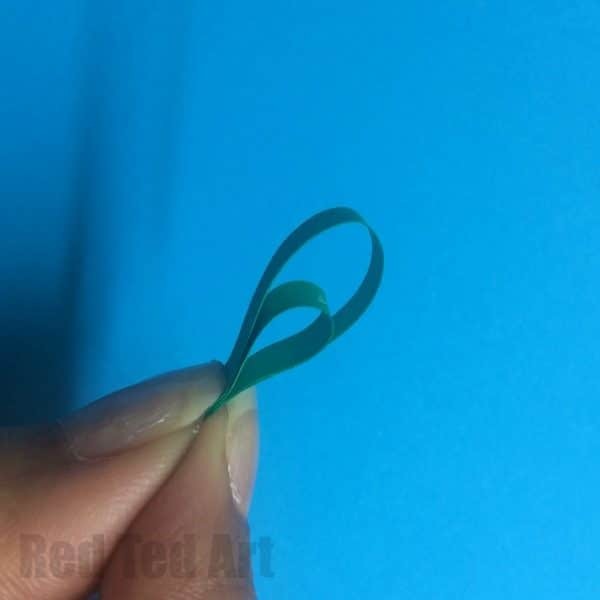 This will form the centre of your paper quilled pineapple. 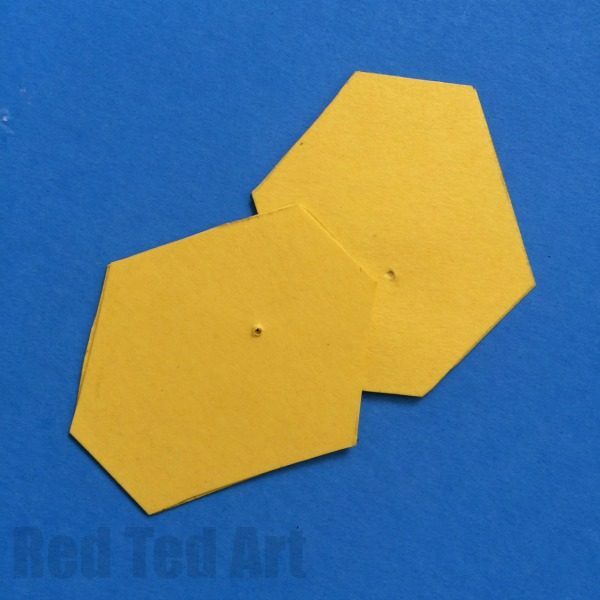 Next, you will have to cut out two hexagons for your quilled pineapple. This will be the backing of your paper quilled brooch. Once cut out, stick the coils on one side of one of the sheets, cover it entirely. Prick the safety pin through the second cut out of the pineapple, and stick the side containing the needle on the backside of the first cutout. 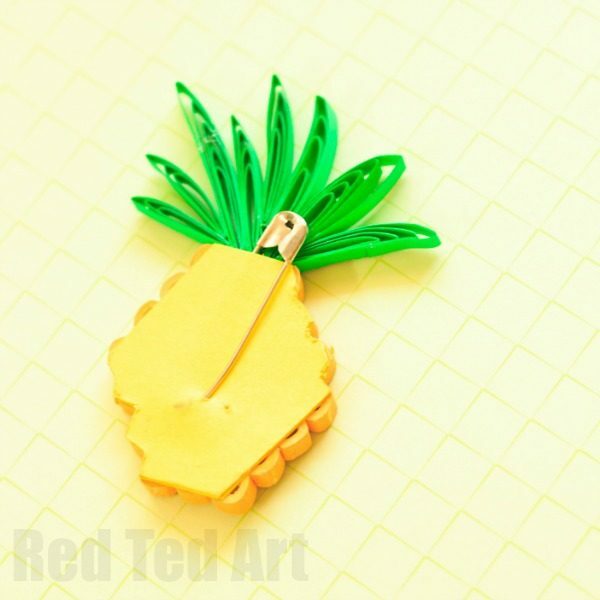 And your paper quilled pineapple brooch is ready! 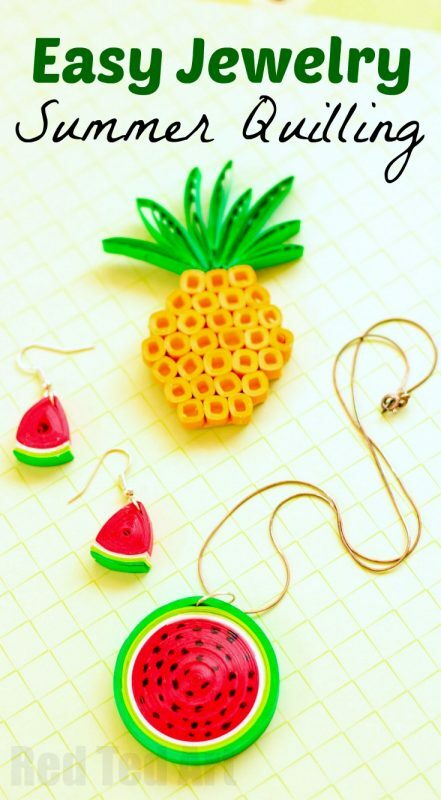 This easy little Pineapple Brooch DIY goes REALLY well with our Quilled Watermelon Pendants too.. don’t you think?! 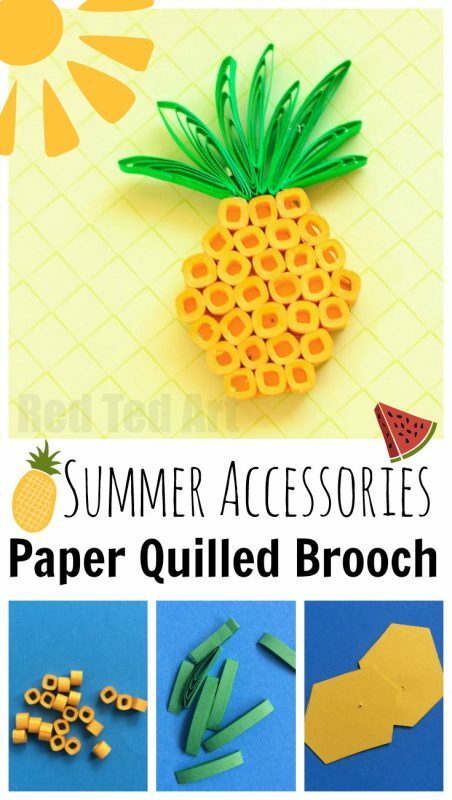 Have fun making your own Paper Quilled Pineapple Brooch Craft this Summer! Hi Maggy. 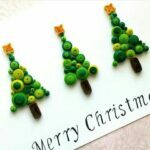 I know our readers will love this paper quilling jewelry. 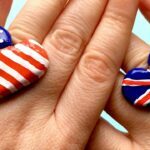 I’ve included your post in our latest craft inspiration roundup.